Display your presentation in an attractive holder. 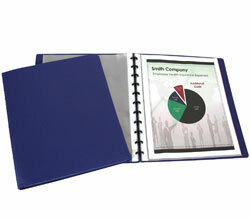 Holds 8-1/2 x 11 vertical sheets. Acid-free. Refill pages. Portrait. 10/PK.